From lakes, to rivers, to the ocean, people of all ages and all walks of life enjoy one of America’s favorite pastimes, fishing. However, for a lot of people fishing is much more than a hobby, it is the foundation of an industry that supports more than 800,000 jobs in the United States, according to the American Sportfishing Association. Anglers also travel extensively to pursue their passion for fishing, and bring substantial amounts of revenue into different economies, some of which desperately need the economic boost. 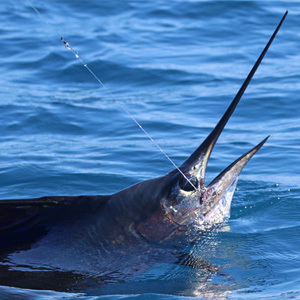 The Costa Rican Sport Fishing Federation (FECOP) recently finalized a study that shows the overall contribution of sportfishing generates almost $500 million each year. That figure represents almost 13 percent of Costa Rica’s total tourism revenue. The data also shows that sportfishing activities have grown, beating out other economic activities in the tourism division in Costa Rica. Marin found that recreational fishing brings in more money than typical exports such as coffee and bananas. According to the study 5.6 percent of all tourism that comes to Costa Rica participates in sport or charter fishing. “It generates substantial income with a minimum effect on our natural resources,” Marin said. Marin hopes his research can help shine a light on the sportfishing industry in Costa Rica to ensure the country embraces the fishery for many years to come. “The importance of sportfishing to the national economy and its relationship to the dynamics of coastal communities is still unknown to the majority of Costa Ricans and government and tourist industry officials. Hopefully this study can help educate them that sportfishing is a large industry based on sustainable use of marine resources,” he said. The complete study will soon be available for download at fishcostarica.org.